March is a wonderful month. 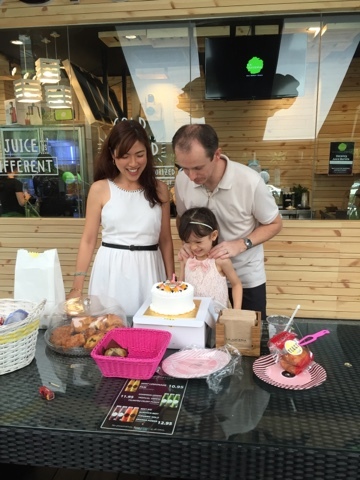 It is even more wonderful because we celebrated hubby's birthday at La Juiceria. We had a morning juice party! 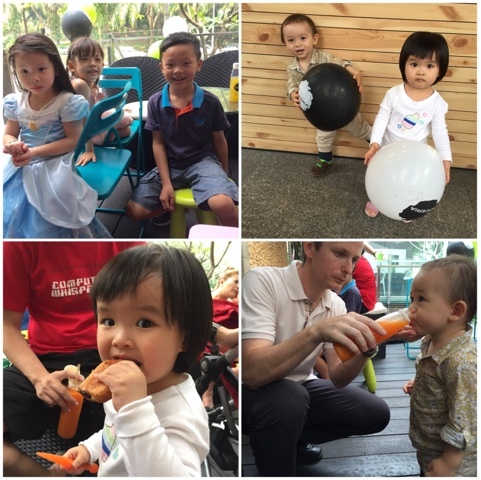 It was a nice morning that day at La Juiceria BSC Bangsar. Ordered fresh pastries from YEAST and Jason's Food Hall, and brought some homemade pandesal (milky Filipino bread). 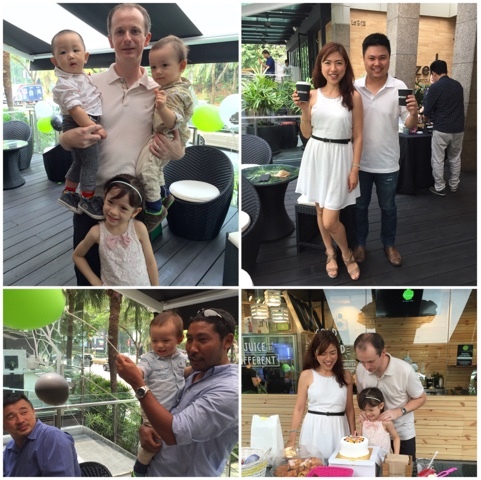 With a bit of balloons and some preparation, we had a nice and simple celebration with our friends (and their kids). 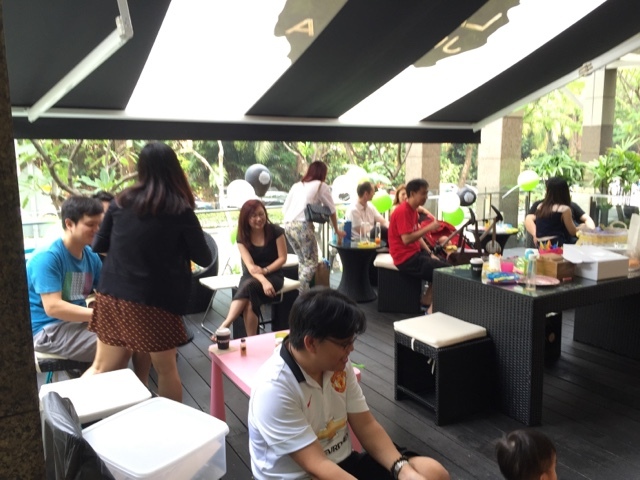 At some point it looked like a kiddie party (hahaha)! The kids enjoyed and everyone had tons of juices. To add to the delight, we had EspressoLab over doing coffee on the spot. 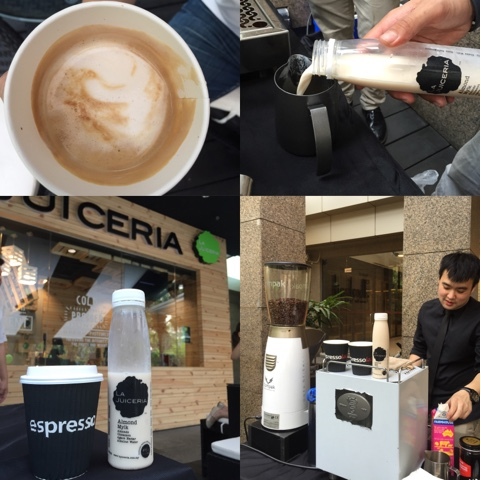 And to make it even more special, EspressoLab brewed some ALMOND MYLK LATTE using La Juiceria's Almond Mylk plus their yummy coffee beans. It tasted * awesome * !!! Guests had a good time. 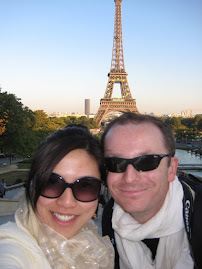 We started at about 11 am and ended about 1pm. Maybe should have done earlier, so that the place is less hot... however I was worried it was hard for people to wake up on a Saturday morning! 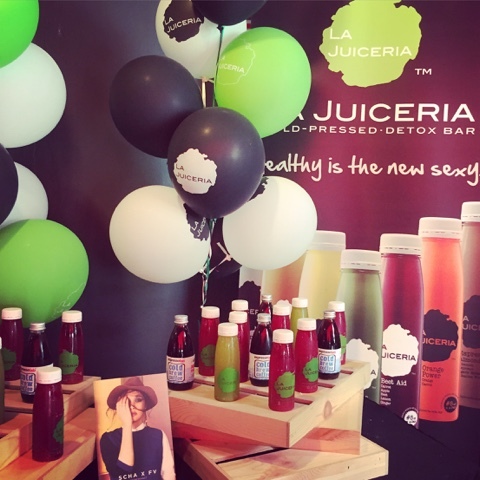 On the same note.... in March, La Juiceria was at Fashion Valet event once again with EspressoLab. 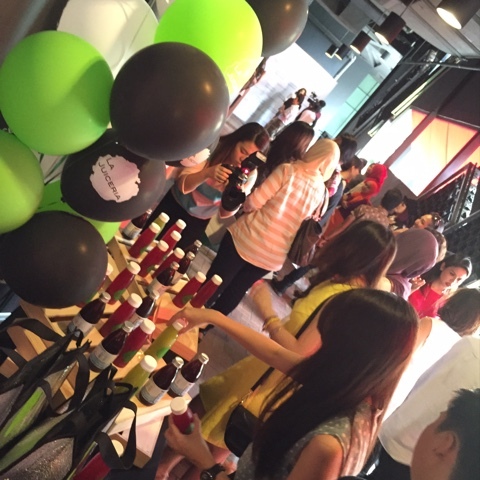 Fashionistas and media people were treated to Cold-Pressed juices and cold-brew coffee. A welcome sight for a hot day! 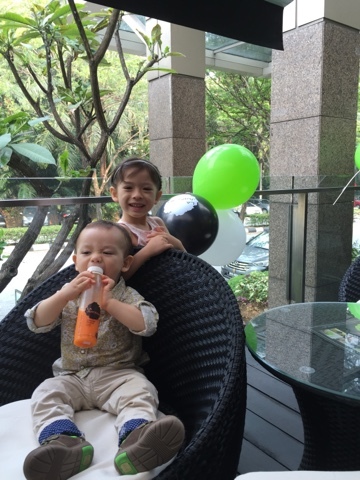 Kids enjoying their juices and balloons. special event with EspressoLab in the house!